Why have Europeans dominated global exploration?. The Faustian impulse and European exploration. 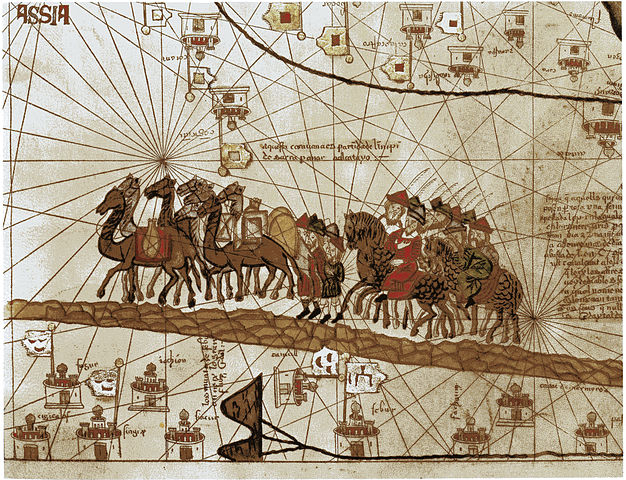 Marco Polo, en route (1375). Click to enlarge. MY VIEW IS that Europeans were not only exceptional in their literary endeavors, but also in their agonistic and expansionist behaviors. Their great books, including their liberal values, were themselves inseparably connected to their aristocratic ethos of competitive individualism. There is no need to concede to multicultural critics, as Davies does, “the sorry catalogue of wars, conflict, and persecutions that have dogged every stage of the [Western] tale.”5 The expansionist dispositions of Europeans as well as their literary and other achievements were similarly driven by an aggressive and individually felt desire for superlative and undemocratic recognition. IN MY BOOK, The Uniqueness of Western Civilization, I trace the West’s Faustian creativity and libertarian spirit back to the aristocratic warlike culture of Indo-European speakers who began to migrate into Europe roughly after 3500 BC, combining with and subordinating the ‘ranked’ Neolithic cultures of this region. Indo-European speakers originated in the Pontic-Caspian steppes. They initiated the most mobile way of life in prehistoric times, starting with the riding of horses and the invention of wheeled vehicles in the fourth millennium BC, together with the efficient exploitation of the “secondary products” of domestic animals (dairy goods, textiles, large-scale herding), and the invention of chariots in the second millennium. The novelty of Indo-European culture was that it was led by an aristocratic elite that was egalitarian within the group rather than by a single despotic ruler. Indo-Europeans prized heroic warriors striving for individual fame and recognition, often with a “berserker” style of warfare. In the more advanced and populated civilizations of the Near East, Iran, and India, local populations absorbed this conquering group. In Neolithic Europe, the Indo-Europeans imposed themselves as the dominant group, and displaced the native languages but not the natives. 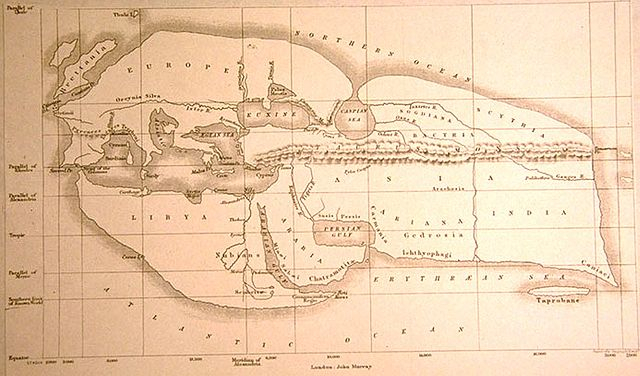 The Greeks initiated the science of geography. But just as pertinent is how contentious individuals, born in a culture engaged in widespread colonizing activities between 800 and 500 BC, drove this science. Hecataeus (550 – 476 BC), the author of the first book of geography, Journey Round the World, based his knowledge on his extensive travels along the Mediterranean and the Black Sea. To be sure, the Phoenicians, starting around the first millennium BC, established approximately 30 colonies throughout the African shores in the western Mediterranean, Sardinia, Malta, and as far west as Cádiz in modern Spain. However, more than thirty Greek city-states each established multiple colonies, with some estimating that the city of Miletus alone set up ninety colonies. All in all, Greek colonies were stretched throughout the Mediterranean coasts, the shores of the Black Sea, Anatolia in the east, southern France, Italy, Sicily, and in the northern coast of Africa, not to mention the long colonized islands of the Aegean Sea. 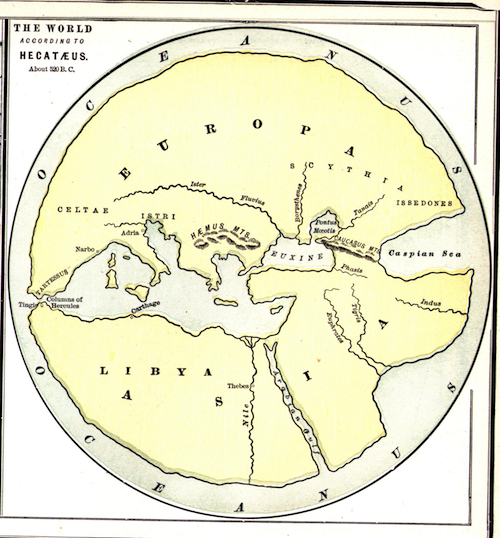 Hecataeus envisioned the world as a disc surrounded by an ocean. But soon there would be a challenger – Herodotus, born in 484BC. He too offered numerous geographical and ethnographic insights based on his extensive travels, and he did so in explicit awareness of his own contributions and in direct criticism of his predecessor. This competitive desire on the part of individuals to stand out from others was ingrained in the whole social outlook of classical Greece: in the Olympic Games, in the perpetual warring of the city-states, in the pursuit of a political career, in the competition among orators for the admiration of the citizens, and in the Athenian theater festivals, where numerous poets would take part in Dionysian competitions amid high civic splendor and religious ritual. New works of drama, philosophy, and music were expounded in the first-person form as an adversarial or athletic contest in the pursuit of truth. These explorations encouraged astronomical and geographical scholarship leading to the full conceptualization of the shape of the earth itself by Eratosthenes (276-185BC), who not only contextualized the location of Europe in relation to the Atlantic and the North Sea, but calculated the spherical size of the earth (within 5 percent of its true measure), with the obvious implication that the Mediterranean was only a small portion of the globe. 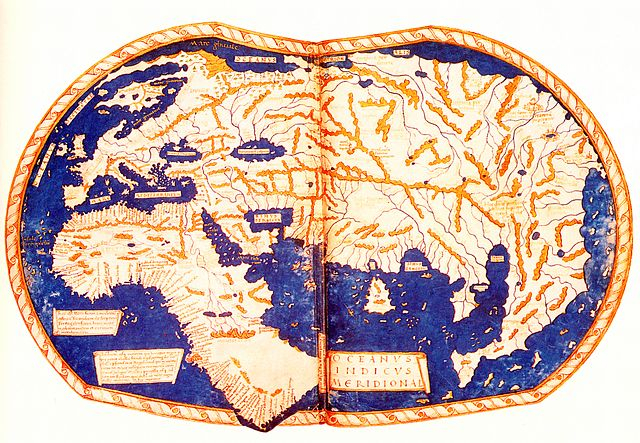 This spirit of inquiry continued through the second century AD, when Ptolemy wrote his System of Astronomy and his Geography, where he rationally explained the principles and methods required in mapmaking and produced the first world map depicting India, China, South-East Asia, the British Isles, Denmark and East Africa. There was far less desire to explore the geography and landscapes of the world among the peoples of the non-Western world. While in the first century BC the Han dynasty extended its geographical boundaries south into Vietnam, north into Korea, and east into the Tarim Basin, the Chinese showed little geographical interest beyond their own borders. What is striking about Chinese maps in general is how insular they were in comparison with the much earlier maps of Ptolemy. Even a sixteenth-century reproduction of Zheng He’s sailing maps lacks any apposite scale, size, and sense of proportion regarding the major landmasses of the earth. The Chinese supposition that the earth was flat remained almost unchanged from ancient times until Jesuit missionaries in the seventeenth century brought modern ideas. In stark contrast, Greek philosophers of the fifth and fourth centuries BC were already persuaded that the earth was a sphere. Aristarchus of Samos, who lived about 310 to 230 BC, went so far as to postulate the Copernican hypothesis that all planets revolve in circles around the sun, and that the earth rotates on its axis once in twenty-four hours. The Vikings “discovered in their gray dawn the art of sailing the seas which emancipated them”—so says Spengler.13 During the last years of the eighth century, marauding bands of Vikings pillaged their way along the coast lines of Northern Europe and down around Spain, into the Mediterranean, Italy, North Africa, and Arabia. Some hauled their long boats overland from the Baltic and made their way down the great Russian rivers all the way to the Black Sea. During the ninth and tenth centuries, their primary aim was no longer plunder as much as finding new lands to settle. Their voyages far into the North Atlantic were “independent undertakings, part of a 300-year epoch of seaborne expansion” which resulted in the settlement of Scandinavian peoples in Shetland, Orkney, the Hebrides, parts of Scotland and Ireland, the Faroe Islands, Iceland, Greenland, and Vinland (present-day Newfoundland).14 They colonized the little-known and unknown lands of Iceland from 870AD onward, Greenland from 980 onward, and then Vinland by the year 1000 AD. The Icelandic geographers of the Middle Ages showed considerable detailed knowledge in their descriptions of the Arctic regions, stretching from Russia to Greenland, and of the eastern seaboard of the North American continent. This is clearly attested in an Icelandic Geographical Treatise preserved in a manuscript dating from about 1300, but possibly based on a twelfth-century original. 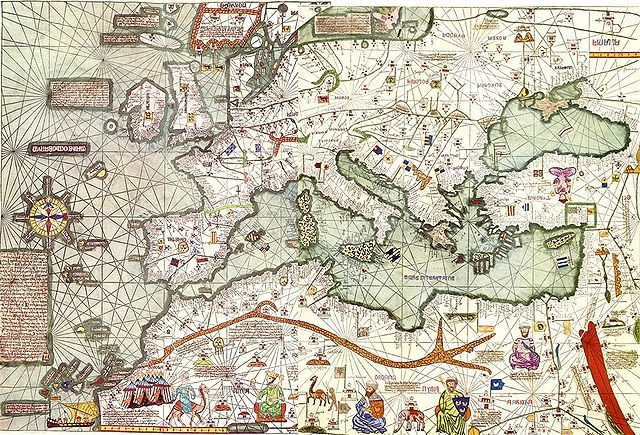 In the next centuries after the Vikings, the travels of Marco Polo (1254-1324) throughout the Asian world found expression in the Catalan Atlas of 1375, which was quite innovative in showing compass-lines, and in the accurate delineation of the Mediterranean. On the strength of Ptolemy’s work, Islam fostered its own geographical tradition with the benefit of their extensive dominions and travels. Ibn Battuta (1304-1374), the greatest Muslim traveler, visited every Muslim country and neighboring lands. But his “overmastering impulse,” to use his own words, was to visit “illustrious sanctuaries”17 – unlike Marco Polo’s desire, which was to visit non-Christian lands barely visited by Europeans and learn about the unknown tribes of Asia, including the numinous land of Cathay.18 In 1154, the greatest Islamic cartographer, al-Idrisi, produced a large planispheric silver relief map that was original in not portraying the Indian Ocean in a landlocked way and in offering a more precise knowledge of China’s eastern coast. But Islamic geography would go no further. SPENGLER WRITES THAT the Spaniards and the Portuguese “were possessed by the adventured-craving for uncharted distances and for everything unknown and dangerous.’19 By the beginning of the 1400s, the compass, the portolan chart and certain shipping techniques essential for launching the Age of Exploration were in place. The Portuguese, under the leadership of Henry the Navigator would go on, in the course of the fifteenth century, to round the southern tip of Africa, impose themselves through the Indian Ocean, and eventually reach Japan in the 1540s. They would create accurate maps of West Africa as far as Sierra Leone, as well as rely on Fra Mauro’s new maps, one of which (1457) mapped the totality of the Old World with unmatched accuracy while suggesting, for the first time, a route around the southern tip of Africa. A mere two years after Diaz had sailed around the Cape; Henricus Martellus created his World Map of 1490, which showed both the whole of Africa generally and the specific locations of numerous places across the entire African west coast, detailing the step-by-step advancement of the Portuguese. At the same time, Fernández-Armesto portrays China’s mode of exploration in rather admiring terms: her peaceful commerce, scholarship, and even “vital contributions to the economies of every place they settled.’21He almost implies, indeed, that the Chinese, not the Europeans, were the true explorers, on the grounds that He’s expeditions along the Indian Ocean were more difficult (due to wind patterns) than the European ones through the Atlantic, and that the Europeans navigated through the Atlantic in order to overcome their marginalized economic position rather than to explore. The major flaw in Fernández-Armesto’s account (as in all current accounts) is the unquestioned assumption that the Chinese expeditions were “explorations” stirred by disinterested curiosity while the Portuguese expeditions were primarily economic in motivation. 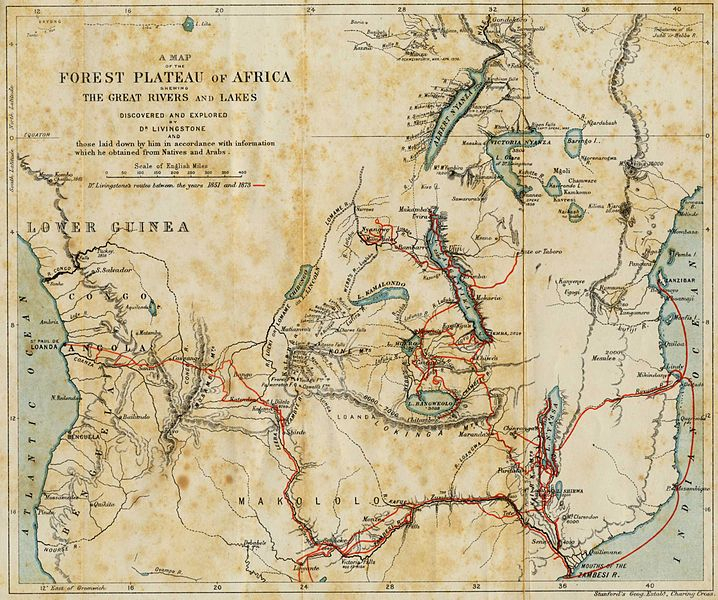 The Chinese did little that can be considered new in the exploratory sense; they did not discover one single nautical mile; the Indian Ocean had long been a place of regular navigation, unlike the Atlantic and the western coasts of Africa. The Portuguese, it is true, were poor and many of the sailors manning the ships were longing for better opportunities, but what drove the leading men above all else was a chivalric desire for renown and superior achievement in the face of economic costs, persistent hardships, and high mortality rates. The main motivations of the Portuguese cannot be adequately explained without considering the chivalric and warlike spirit of the aristocratic fidalgos. Fernández-Armesto acknowledges that the ethos of chivalric honor “did make the region peculiarly conducive to breeding explorers.”23 But to him this was an ethos rooted in medieval romances exclusive to Portugal and Spain. Besides, he rejects any notion of Western uniqueness, and does not properly explain the differences between economic, religious, and chivalric motivations. Between 1519 and 1521 Hernán Cortés put himself at the command of an expedition that would result in the conquest of the Aztec Empire. These days many regard Cortés as something of a criminal, and this is true. The campaigns he conducted against the Mexicans were graphically barbaric. At the same time, Cortés was a prototypical Western aristocrat, or, as described by his secretary, a man “restless, haughty, mischievous, and given to quarrelling.’25 The running story on Cortés today is that if he had not conquered Mexico someone else would have. The real agents were the guns, the steel swords, the horses, and the germs. Without denying any of these factors, I agree with Buddy Levy’s recent portrayal of Cortés as a man who displayed, again and again, an extraordinary combination of leadership, tenacity, diplomacy, and tactical skill. Finding gold was a priority for Cortés and his men, but, as Cortés’s impassioned speeches and the character descriptions of his contemporaries both testify, he was above all a man driven by an “insatiable thirst for glory and authority;” “he thinks nothing of dying himself, and less of our death.”26 A similar account can be given of Francisco Pizarro. The same spirit that drove Cortés and Pizarro drove Luther in his uncompromising challenge to the papacy’s authority: “Here I stand, I cannot do otherwise.” It drove the “intense rivalry” that characterized the art of the Renaissance, among patrons, collectors, artists, and that culminated in the persons of Leonardo, Raphael, Michelangelo, and Titian.27 It motivated Shakespeare to outdo Chaucer, creating more than 120 characters, “the most memorable personalities that have graced the theater – and the psyche – of the West.’28 Let us recall that the age of the conquistadores was Spain’s golden age; the age of El Greco, Velázquez, Calderón de la Barca, and Francisco López de Gómara; the time of Cervantes’s Don Quixote and the realist transformation of the chivalrous imagination, of Lope de Vega and the creation of a new literary style in the picaresque novel with its sympathetic story of thieves and vagabonds. This century saw, additionally, a veritable revolution in cartography. 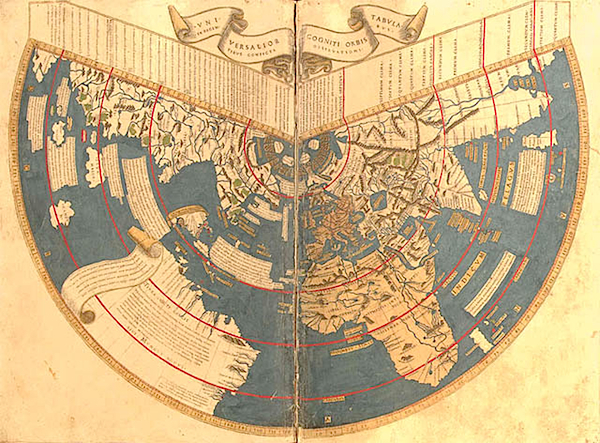 As early as 1507, the German cosmographer, Martin Waldseemüller, produced a map depicting a coastline from Newfoundland to Argentina, and showed the two American continents clearly separated from Asia. IN THE FACE of a list of rather ordinary human motivations, such as the motivation to acquire wealth and conquer new lands, it is very difficult to ascertain the Faustian character of the explorers, extract its essential nature, and apprehend it for itself. I want to suggest, even so, that the history of exploration during and after the Enlightenment era offers us an opportunity to apprehend clearly this soul. For it is the case that, from about the 1700s onward, explorers come to be increasingly driven by a will to discover irrespective of the pursuit of trade, religious conversion, or even scientific curiosity. My point is not that the unadulterated desire to explore exhibits the Faustian soul as such. The urge to accumulate wealth and advance knowledge may exhibit this Faustian will just as intensively. The difference is that in the desire to explore for its own sake we can see the West’s psyche striving to surpass the mundane preoccupations of ordinary life, comfort and liberal pleasantries, proving what it means to be a man of noble character. The minimization of any substantial differences among humans cultivated by the modern model of human nature has clouded our ability to apprehend this Faustian desire. The original outlook of Locke and French Enlightenment thinkers, themselves the product of the persistent Western quest to interpret the world anew, fostered a democratic model wherein humans came to be seen as indeterminate and more or less equal, a “white paper,” a malleable being determined by outside circumstances, tradition-less and culture-less. This egalitarian view was nurtured as well in the philosophy of Descartes, Leibnitz, and Kant, with its emphasis on the innate and equally a priori cognitive capacities of humans qua humans. Fernández-Armesto is highly critical of Robert Falcon Scott’s somber expressions of boldness, risk, duty, and resolve during the last days of his tragic expedition to the South Pole in 1911-12. Max Jones offers a far more incisive assessment of the significance of Scott, less as a “great” explorer than as someone who “composed the most haunting journal in the history of exploration.’33 Jones extols the captivating drama of the journals, the mounting tension and ever present anxiety as the ship battles to reach the Antarctica coast, and the epic-like account of the relentless march to the Pole. Jones situates Scott within a wider cultural setting: his immersion in polar literature, his awareness of characters in major novels who sought to prove themselves, his copy of Darwin’s Origins of Species and Scott’s “bleak vision of the universe as a struggle for existence,” the literary influences of Ibsen and Thomas Hardy and their fascination with the dependency of the human will on the indifferent power of nature and necessity. Overall, the pervading idea of the journals is the heroic vision of exploration as a test of individual worthiness and national character. From his early manhood, Scott was filled with anxiety and doubts about his adequacy in life’s struggles: “I write of the future; of the hopes of being more worthy; but shall I ever be – can I alone, poor weak wretch that I am bear up against it all.”34 Expedition narratives through the nineteenth century, Jones observes, became ever more focus on the character of the explorer than on the economic externalities, so exploration became an inner journey, “a journey into the self, nowhere more so than in the emptiest of continents, Antarctica.’35 Scott understood this: “Here the outward show is nothing; it is the inward purpose that counts.” There was nothing to see in the center of Antarctica except the reflection of the inner Western quest to face the struggle of life in a heroic fashion. This article was revised 8 October 2012 to correct an editing error. Publication: Tuesday, 5 June 2012, at 18:20. Options: Archive for Ricardo Duchesne. Bookmark the permalink. Follow comments here with the RSS feed. Post a comment or leave a trackback.